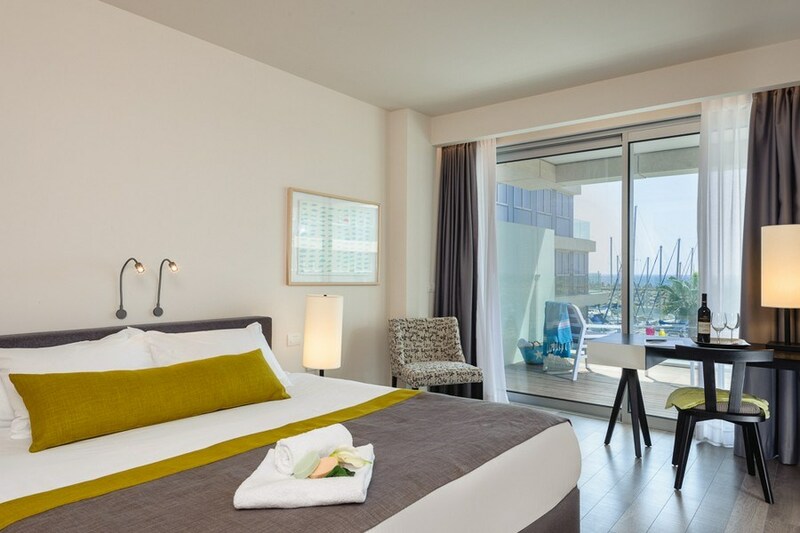 The 5 Stars Plus Herods Herzliya hotel is uniquely positioned on an exclusive man-made island overlooking the Mediterranean Sea and Herzliya’s picturesque marina. 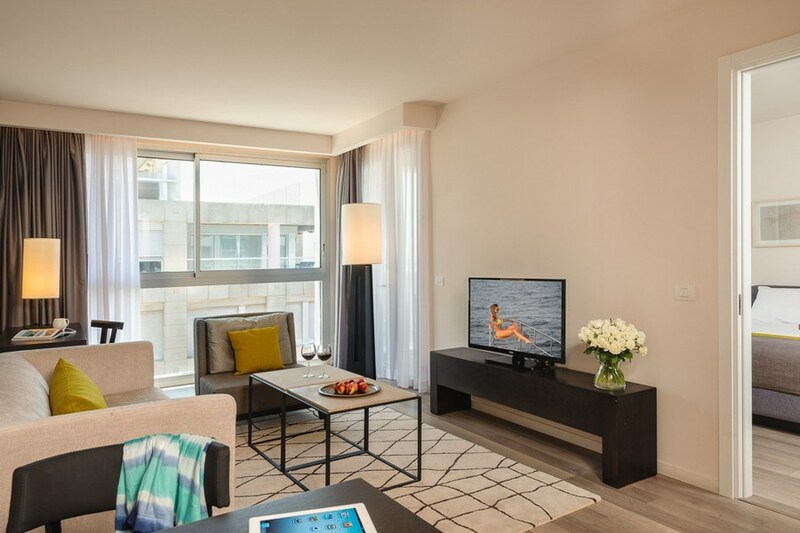 In addition, an unrivaled range of superior amenities and elegant designer accommodation ensure guests enjoy an unforgettable pampering break. 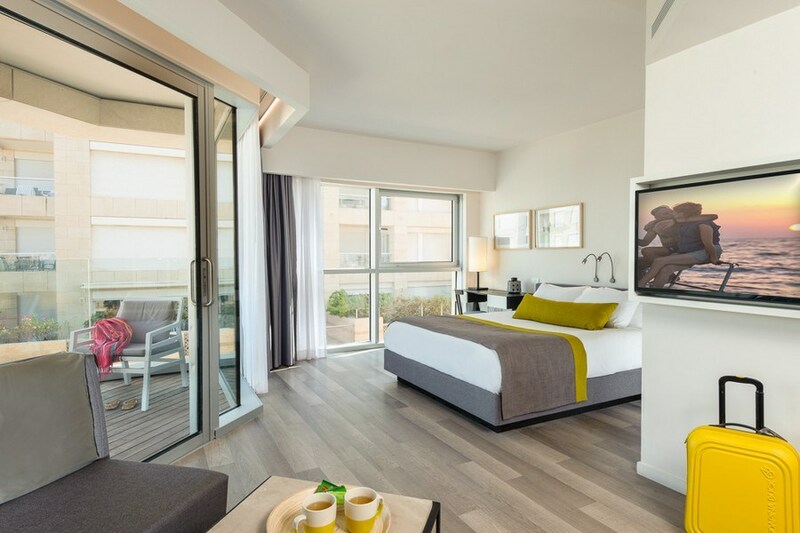 The Herods Herzliya hotel is the number one choice of all hotels in Herzliya for its superb location, facilities and spacious, ultra-comfortable accommodation options. 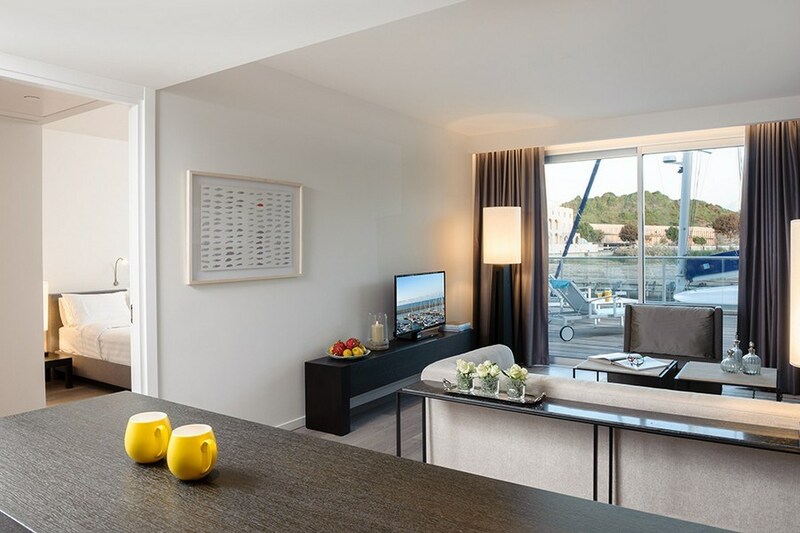 Located on a small island guests look out over the beautiful Mediterranean Sea and marina from rooms and from many other vantage points around the hotel. The onsite restaurant serves up delicious Mediterranean dishes while the bar is the perfect place to unwind and enjoy a drink in a convivial atmosphere. 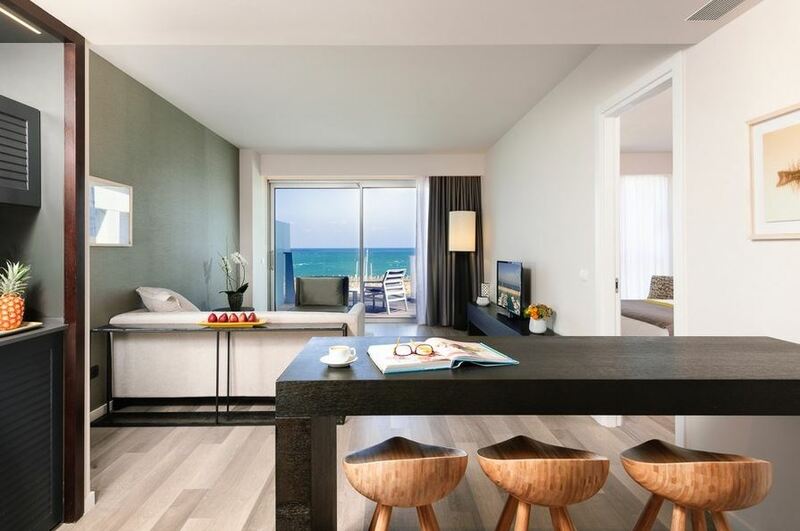 The Herods Herzliya hotel, Five Stars Plus Hotel Rating, offers access to pristine sandy beaches, and the outdoor swimming pools provide the perfect place for family fun in the sun – or to relax and soak up the sun. The fitness center is on hand, fully equipped for a productive workout, pampering spa treatments are available in the new onsite spa. Business guests are especially well provided for at the hotel, with a well-appointed business lounge complete with extensive business. Fattal Hotels' business visitors are also welcome to enjoy a range of complimentary refreshments while catching up with work. 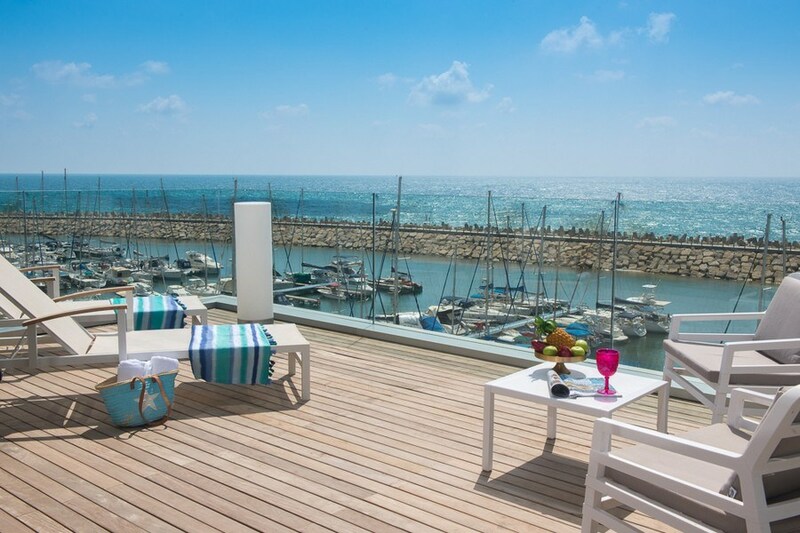 Herods Herzliya has been awarded a Five Stars Plus Hotel (rating) under the Israeli Ministry of Tourism grading scheme. Executive suite pool view with balconySpacious and beautifully designed suites with balcony overlooking the hotel pool and sun deck. 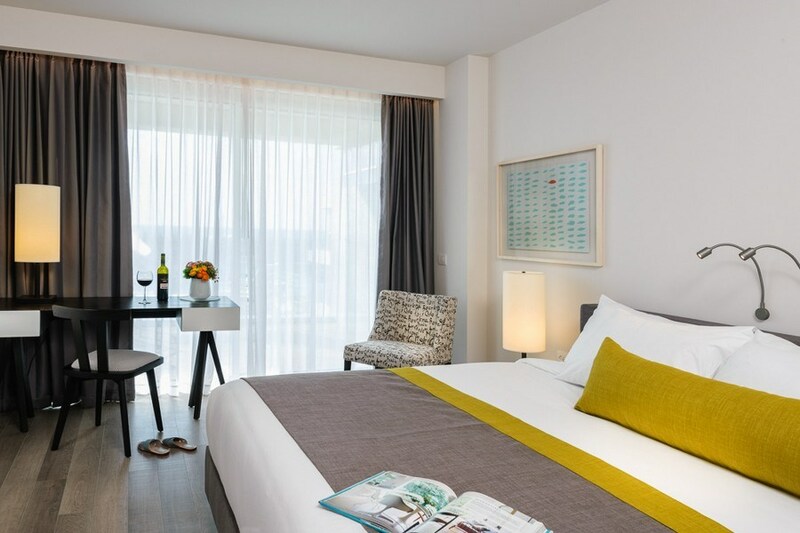 Guests can look out over the scenic hotel pool area from their private balcony, while enjoying the extra spacious accommodation and comprehensive array of facilities. Suitable for a family of four, plus a baby or three adults sharing. 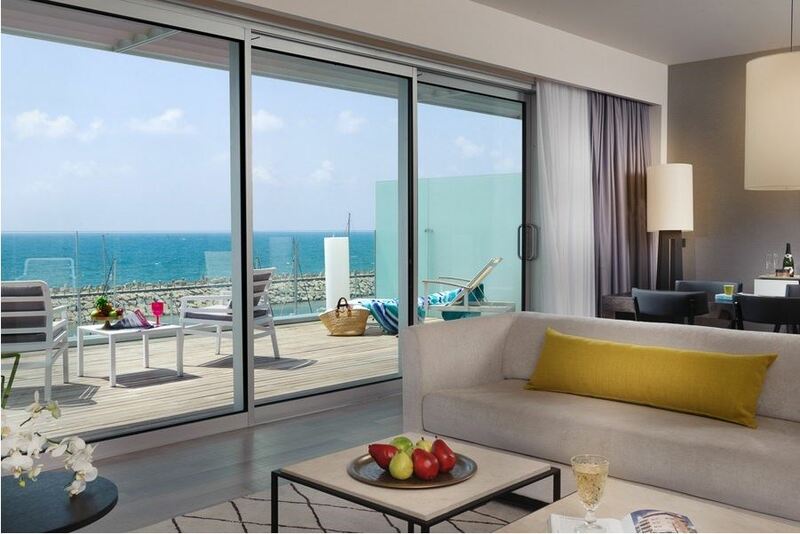 The presidential suite of the Herods HerzliyaThe presidential suite of the Herods Herzliya extends over 92 square meters, and its large balcony you can watch the breathtaking views of the Mediterranean. In addition, you will enjoy exclusive fittings perfect holiday: a living room, two bedrooms with two separate bathrooms, fully equipped kitchen, Machine espresso bar, luxury toiletries from L'OCCITANE, free entrance to the business lounge, personalized concierge services, a daily newspaper and a delicious gift and special hotel chef.